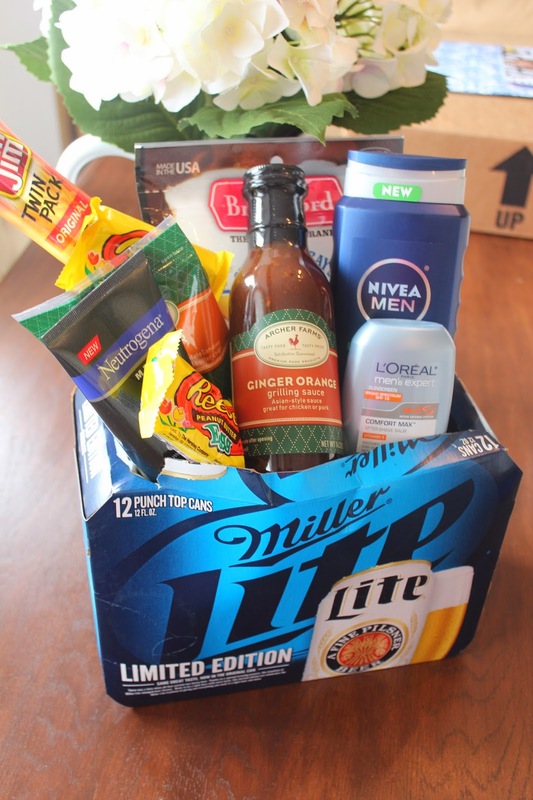 KEEP CALM AND CARRY ON: How To: Easter "Man Basket"
How To: Easter "Man Basket"
If you followed this blog back in 2012 (wow suddenly I my blog feels really old), you may remember this post with the beer basket. You also may remember my terrible writing, design, fonts, etc. It's okay...it's so true. What I'm trying to get at is it's definitely time to update that post with this one! It's one of my most viewed posts, and what I take from that is that many of us are clueless as to how we can make unique gifts for the men in our lives. I know I am half of the time, but that's a story for a different day. Personally, I think this gift is fun to put together and is just a small, thoughtful gesture for that special guy in your life. Super easy, too. +Open the beer box from the top, not the sides! Hide the beers somewhere in your house until you can safely put them in the refrigerator without your husband noticing (possibly the day of?) and then cut a large opening in the top of your beer box. +Fill with grass, candy filled plastic easter eggs, and some of the other small goodies that fit in the bottom. Save the bigger items to go at the top. +Then, without crushing the items in the bottom, start placing the bigger items on top. I actually used a loofah (this works!) to prop the bigger items up on because it helped with the height so that some of the items stuck out of the box more. It's all about the presentation, am I right? +Use tape, if needed, to secure some of the larger items that might be moving around to the box to keep them in place. If you personalize it just for your man, how could he ever not like it? Impossible! Have you made a basket for your guy before? If not, next year is your time to start. :) Special thank you to those who have actually been reading my blog since 2012 and have continued to stick around! It means so much, truly. 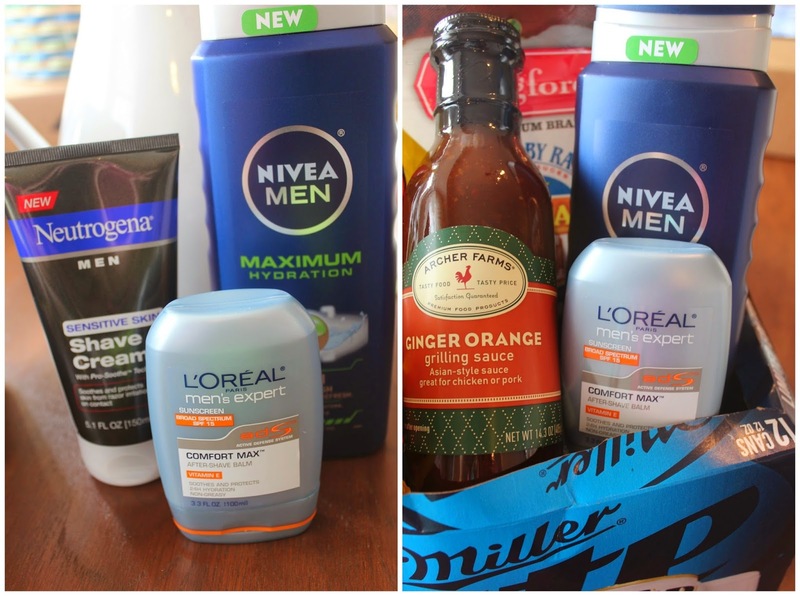 PS-You could also add some small liquor bottles, lottery tickets, or tickets to a sporting event! It would be cute if you taped those on the front of the box! Just some other ideas I've had. You can't go wrong! PPS: Billy sent me the link to this article about happy people this morning (we love reading things like this!) and I wanted to share. Happy Tuesday! I made Drew a valentines basket. It contained his favorite snacks and different small bottles of liquor. 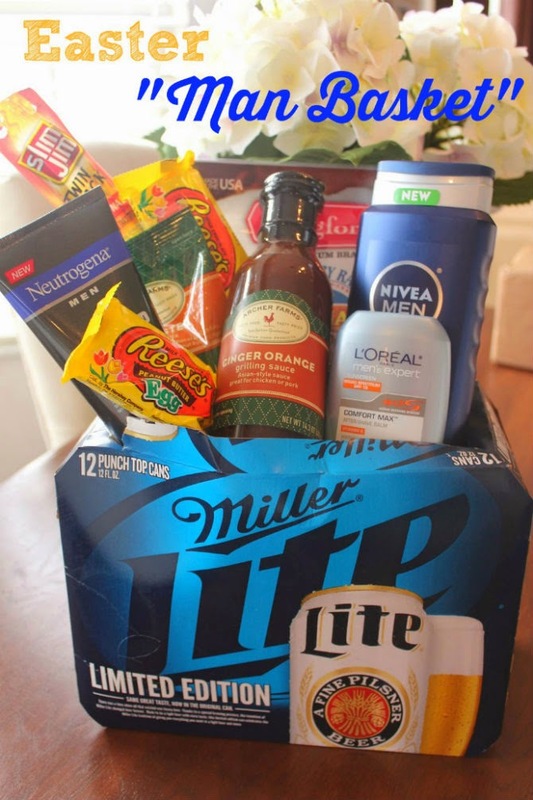 But I love the idea of using the miller light box as the basket. I remember that post back in 2012.. does that make me a creeper/old?! ;) Love all the items in there- I am OBSESSED with that ginger orange sauce! This is such a cute idea! I will have to remember it for next year! Why is it that boys wait until the last possible drop of shampoo/deo etc is left to tell you they need more?